BioNano Genomics aims to make full genome understanding more accessible to clinicians and researchers in life science, translational research, plus those developing molecular diagnostics and improving personalized medicine. To publish important novel discoveries, you need quicker, easier and more cost-effective ways to investigate entire genomes. And with studies revealing frequent functional structural variation in the genome, you need to see more of its architecture than you can through sequencing alone. 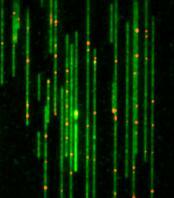 Economical, high-resolution genome maps at the scale of whole chromosomes provide necessary large-scale context and relationships between functional elements. A revolutionary NanoChannel technology developed at Princeton University has given the ability to deliver all this. 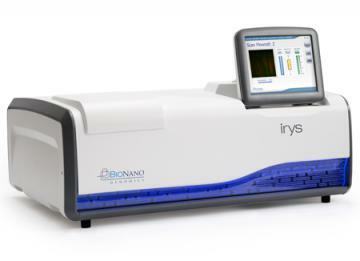 Since taking a worldwide license, BioNano Genomics has developed that technology into Irys, a flexible platform capable of providing high-resolution, single-molecule analysis of extremely long DNA.